What are the DISC Personalities of the New Girl characters? 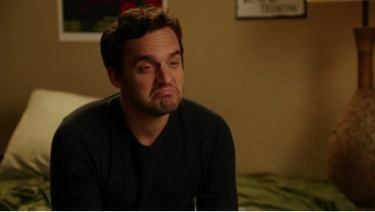 New Girl was one of the first shows to return to the air after the long summer broadcast hiatus. It’s good to see the gang back on our televisions again, isn’t it? In honor of the show’s return to the screen, let’s take a look at what we think would be the DISC personality types of the New Girl loft mates. Coach may be a character that was officially added to the show last season, but he fits in with the rest of the gang as seamlessly as if he’s been there all along. In a lot of ways, the gang needs Coach. Unlike most of the other loft mates, Coach is strong, dominant, self-assured, and willing to take charge of any situation. Like a true “D” personality, Coach is charming and confident, and has a strong competitive streak. On the negative side, though, he can tend to be pretty self-centered and arrogant. Fortunately, his even-tempered friends are there to keep him balanced. Caught up in his own inertia, he’s not that kind of guy that wakes up in the morning and makes a list of all of the things he needs to get done for the day. Nick is content to let the events of the day take shape around him, and doesn’t have interest in excitement, drama, or change. He’s a grumpy old man in a 30-something body. But even though he can be grouchy and argumentative, he really does care about his friends. He isn’t outwardly demonstrative of his affection, but he loves his group of friends and would do anything for them. Like an S, he’s steady and consistent. He doesn’t have a great deal of forward momentum, and gets caught in a rut pretty quickly. Good thing his housemates are there to push him out of his comfort zone, or he’d be content staying home all day. Nick seems to have a little D above the midline as well. The D style in him makes it so that he is often convinced that his way is the best way. (Even when it clearly isn’t. 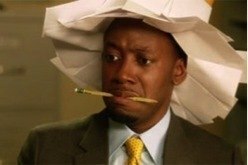 I’m looking at you, Julius Pepperwood.) He is also incredibly stubborn and quick to anger. Oh, sweet Winnie. True his “S” nature, he is content to go with the flow, and follow wherever the rest of the gang leads. Like a typical S, Winston is compassionate, kind, and a loyal friend. He doesn’t have huge reserves of self-confidence and can often be overshadowed (even dominated) by the stronger personalities in the loft. He is easygoing and even-tempered, though, which serves as a nice balance to the loft mates who have high D styles. In the process of attending the police academy, there’s no doubt that Winston will make an interesting policeman. He is caring and kindhearted, and would be terrific at the part of the job that involves making people feel safe and taken care of. The part of the job that requires quick decisive action, though, might serve as a bit of a problem. We’ll have to wait to see how it all pans out—Only the way he acts on a real emergency will really reveal how low (or high) his inner “D” truly is. 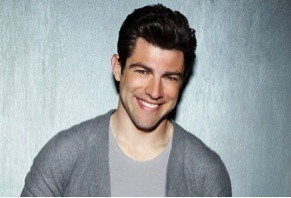 Schmidt has a C-style personality: controlling, organized, and perfectionistic. Schmidt likes to have control over his environment, and can’t stand it when things spiral into chaos. (Which it always does, given the people he lives with.) He is a neat freak, and hates it when someone puts something where it doesn’t belong or tries to do something in a way that isn’t as efficient as he wants it to be. It was his inner perfectionist, for example, that caused him to take over and cook an entire Thanksgiving feast for the loft on his own, because he couldn’t stand watching his roommates fumble around the kitchen and prepare the food in a way that didn’t meet up with his high standards. Schmidt also has a hard time making important decisions. He thinks about his options, and gets stuck in an endless loop of imagining the pros and cons of his choice. (For example, when he was unable to choose between two girlfriends because there was no clear ‘right’ choice, he decided to just try to control the situation by dating both at once.) Even when he does make a decision, Schmidt endlessly overthinks it afterwards—Very C.
S (highest style): Her friends are her family, and she loves them like crazy. (As an example of her steady, loyal, consistent nature, she has had the same best friend since high school.) Jess doesn’t really like to work outside her comfort zone, and is not inclined to take a lot of risks. She is also a very moral and ethical person, and has a soft spot for the underdog. I (next highest style): That said, she also has an outgoing side that suggests a high I. The way she dresses to be noticed in loud patterns and bright colors is tied to her I-side. She likes the attention. C: (third highest style): She can be a bit of a perfectionist, and tends to overthink most major decisions. It takes Jess a long time to make choices, but once she does, she sticks to them. d (below the midline): One of the interesting things about the (d)ISC special pattern that Jess exhibits is that even though her D is below the midline, the high I, S, and C traits above the midline actually work together to bring out Jess’ inner D when the situation calls for it. So, in moments where there is no clear leader and action needs to be taken, she’s willing to step in and take charge. She also speaks her mind, and isn’t afraid to initiate confrontation—Especially where Nick is concerned.